Student Management Games (SMG) provides a unique simulated platform for students to experience the thrill of managing business in a competitive mode where they compete to win. SMG is considered as an effective pedagogy, since it presents with simulated real-world business situations that triggers intuitive business decision making. All India Management Association has endogenously developed and copyrighted Management Simulation software ‘CHANAKYA’ – through which it annually organizes the flagship AIMA National Student Management Games (NSMG) among the business schools. 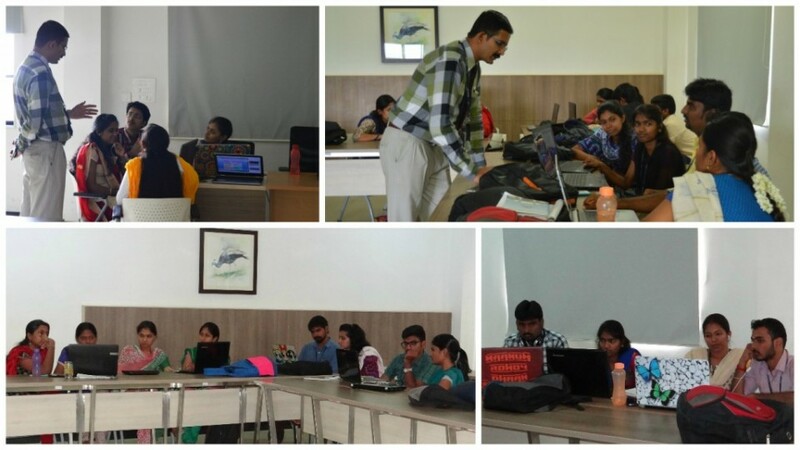 KCT Business School is conducting a Management Simulation Workshop through ‘Chanakya’ software which will enable the participants to manage a real business in a simulated environment where they go through the pains & gains of running a company in a competitive environment. The workshop will be facilitated by the professional trainers from All India Management Association. The participants will take strategic business decisions and see the impact in the business and competition. •	Institutions can nominate more than one team. •	Rs.750/- per student. (Rs.750/- * 4 students = Rs.3,000 per team). •	The fee will cover the workshop material, tea and working lunch. •	Demand draft to be drawn in favour of ‘Kumaraguru College of Technology’ payable at Coimbatore. •	The registration form is attached. Photocopies shall be used for multiple registrations.